Batgirls have been a huge part of my life ever since I was little. “Batgirl” was originally introduced to me in Batman: The Animated Series. Barbara Gordon stood out to me in the sea of men that devoured that animation. She was also voiced by strong women such as: Melissa Gilbert, Mary Kay Bergman and, of course, the undeniably talented Tara Strong. She was strong, beautiful, sassy in her own particular way. An overall badass. The love born there transitioned into the comic books where I got a more detailed history of Barbara, but was introduced to the other batgirl, Cassandra Cain, as my reading continued. With the new Batgirl by Brenden Fletcher, Cameron Stewart and Babs Tarr flying off the shelves, I wanted to go back to some nostalgic Batgirl for just one second before giving my full attention on this wonderful new one. 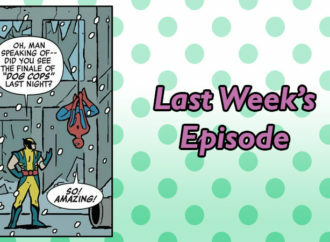 Before Gail Simone’s Batgirl ended her reign and Babs was reborn into one adorable fashionista, there needed to be one more epic finale to everything and that was Batgirl: Future’s End. Future’s End is set in… the future… but not just any future–a long way away into the future, where Barbara’s preparing to get married, until an epic tragedy has her turning down a different path in life. What’s awesome about Future’s End is that we’re not introduced to one Batgirl, but we get three Batgirls in this one. Oh yeah. 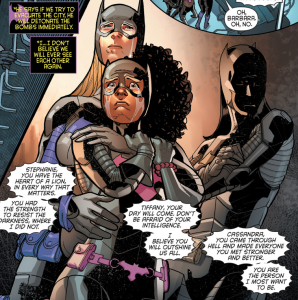 I’ll say it again: we don’t just get one Batgirl running around–oh no–we get three. 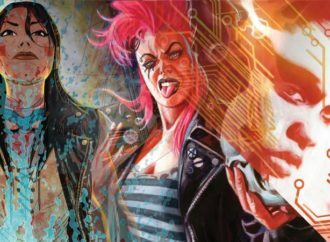 Three awesome asskicking ladies for our reading pleasure named the League of Batgirls. There’s Barbara Gordon, of course, who goes by the name Black Beast (Bête Noire) after dealing with Bane (those muscles though). 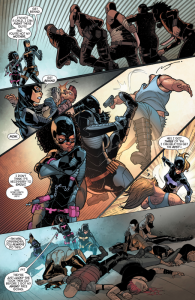 Stephanie Brown, second in command and previously Spoiler, leads Cassandra Cain (aka Blackbat) and Tiffany Fox into a battle with some street thugs. Yes… Tiffany Fox. Lucius Fox’s daughter is a future Batgirl. When I first read that my jaw dropped. The first reason was because there was an African-American Batgirl gracing my comic book panels. The first time I’d ever seen something like that–it was a heavy emotional moment. The second reason was posed more as a question. Why wasn’t there a bigger freak out over the fact that Lucius Fox’s daughter was going to be one of the future Batgirls? Here’s a little history on our tiny future hero. Tiffany is the daughter of Lucius Fox, technology guru and one of Batman’s super BFFs. Tanya Fox, her mother, is a really incredible woman who stands by Lucius’ side no matter what. 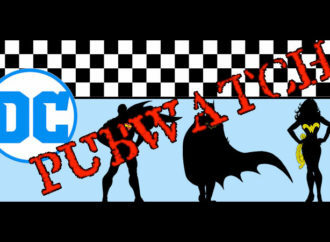 They have three children: Tiffany, of course, Tamara Fox, who dates Tim Drake in one strand of the comics (but has a more tragic history in others), and Lucas Fox (or you might know him as Luke Fox, aka Batwing). Tiffany’s first appearance started in her brother’s issue Batwing #21. We see her as mostly a little girl until then, but a brief adult version is glimpsed when we come back around to New Earth. Then it comes back around to her now in Future’s End. How do you not find that absolutely adorable? She’s decked out in the shared batgirl uniform and makes it her own. With Stephanie’s signature color being purple, Cassandra’s uniform is gold and Tiffany (since she is a little girl) is pink. Even the grips on her nunchaku are pink! 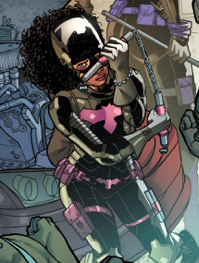 Her natural curly hair is shown through her cowl mask and she even accessories with a pink bubble bracelet on her right arm. Here’s why we should appreciate her as a potential for a future Batgirl. Barbara understands Tiffany’s value, worth, and the ultimate future triumph that she will come into as a Batgirl. When Black Beast is off to her final showdown with Bane, she leaves a personal message to all the girls in case something happens to her. The one she directs to Tiffany shows that there is a future where this girl can become what Stephanie and Cassandra are. Barbara says, “Tiffany, your day will come. Don’t be afraid of your intelligence. I believe you will outshine us all.” I don’t know about you, but coming from an original Batgirl, this is a huge statement. Not only is she intelligent, but she knows what she’s doing, and will be trained by the best to succeed. I’d love to see Tiffany taking a bigger role like her brother did as Batwing. As I stated before, seeing Tiffany as a Batgirl was almost like a shock to me. I’ve grown up only with Barbara Gordon and Cassandra Cain as Batgirls. While Batgirls are one of my favorite things about Batman, I wanted to see a visual representation of myself, my own potential, in the comics than I have. 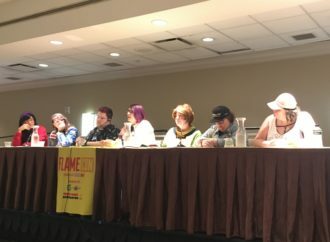 There were no black Batgirls. Tiffany Fox is almost the start of that visual representation for me, and for a lot of African-American girls (and women) who wanted to be Batgirl when they were growing up, but who didn’t feel like they could. 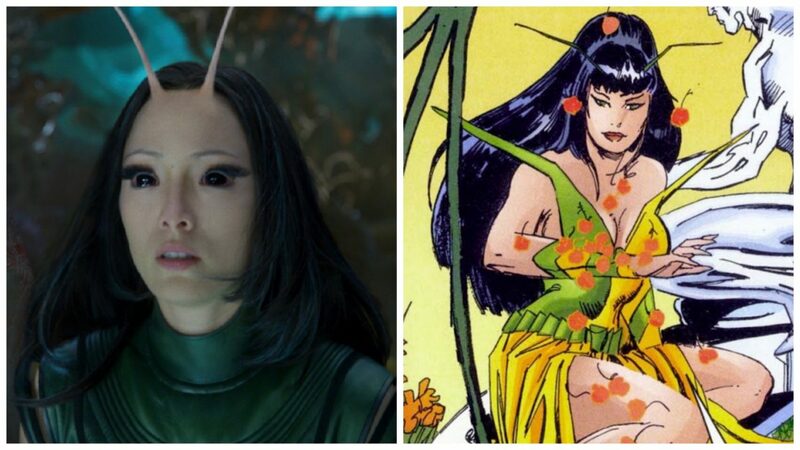 For myself, I felt denied the chance to cosplay her. I was the wrong color, didn’t have the right hair texture and my body was completely out of shape to try and pretend Batgirl was possible. Even though Tiffany is very young, and has appeared only once so far, she has given me the courage and boost that I need to open myself up to cosplay and represent this Batgirl of the future. Batgirl Beyond! If I had a direct line to DC, I’d BEG them to consider giving Tiffany Fox her own stand-alone title after this fantastic Batgirl of Burnside run. She’s begging for her own voice. She’s waiting to shine in a series of her own. 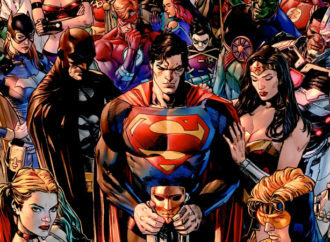 I’ll even write it for you DC. Hire me to write your Tiffany Fox comic. I’ll be waiting.